YouTube is the leading video sharing website where almost millions of videos are hosted. Video content is the leading content marketing. After YouTube , other social networking platforms like Facebook, and Twitter can also giving the opportunity to the video marketer’s to host their videos. YouTube is currently the most leading and famous video sharing platform that Google loves and you can also love this like me. I hope everyone has a YouTube channel, and if you have, then you always wondering that how to get more subscribers to your channels and the increasing the YouTube video views. Because due to the millions of visitors per month on YouTube, there are millions of audience of every kind of all uploaded videos. Be a blogger, SEO Consultant, Tech Adviser, Inspirational Speaker, Prankster, YouTube can provide the platform for the discovery of new and awesome talent from all walks of life.YouTube is the great place where you can show your talent and knowledge with others of all around the world. If you are a bloggers, and want to get more visitors, then YouTube is a great place for you. You can broaden your internet reach by making your readers feel connected to you on this biggest video sharing platform. Social Media can be provide you the best facility to introduce yourself to the world in any way. So YouTube is the possible way to get out the more subscribers from Social media sites , so you can get more subscribers, more views and more visitors and more audience. Here are some tips to know how to get more subscribers on YouTube. When you’re start a YouTube channel on any topic, then the first priority is that you can get the more subscribers, because more subscribers can give you the more views and more visitors. 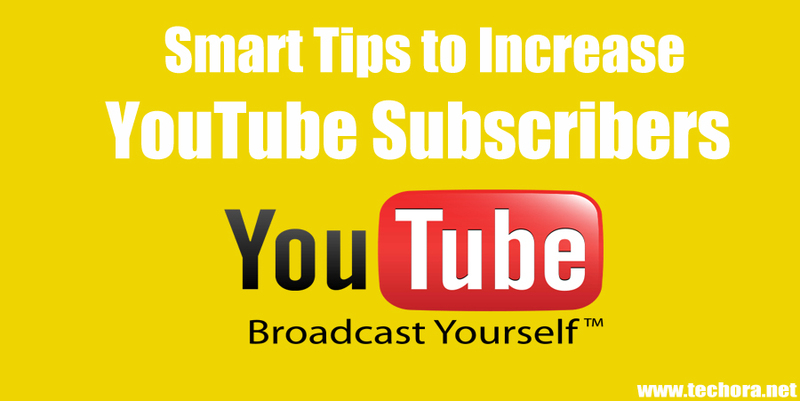 For this purpose here i’m discussed the top 14 smart and passive ways to gain more subscribers on YouTube all the time. By follow the few other top and branding YouTube’s, here are some best ways to gather more Subscribers, without being hard on your relatives a friends.So here i’m tell you some working and famous tips which you can use to increase number of free YouTube subscribers. Video scripts is very powerful method on any video sharing platform to engaged more visitors. Because when user can see the script and understand what video is about, he can seeing your video as well as share it with their friends also. So when you start YouTube channel, and upload your video, then be prepare to write a script for your videos also. But always remember that, don’t follow the YouTube Trending ,always ask yourself what you good in, explore your passion and then started . Always doing what you love , because it is very important for a successful YouTube channel. With video scripts , your videos can perform very well and give you better result,and also helps you in organizing the videos efficiently and effectively and keeps you on track. Always included as much details as possible into your video scripts, including the real and exact dialogues, the actions, and some others etc. Always decide on languages focus, because it effect more into your ranking. So in which language you are well or always create video in your Mother Language, because with this language, you can create content more effectively. It is very simple thing, that always if you want to get more and more, and you can doing also more. Means, if you have a followers / subscribers, then don’t ignore them, just make a video and share into your channel, so your subscribers can remind you and watching your videos frequently. So in this way your ranking high in Google and YouTube point of view. So regularly update your channel, because people do not like those channels which are not updated regularly. Consistency is the key here to develop a long lasting relationship with your existing subscribers as well as other viewers. Always upload your videos in a timely, don’t upload any time, manage a time and then upload it with some unique structured fashioned way. Always try to update your channel daily, but if you can’t, then update once in a week. If you want your viewers and subscribers are trust to you then make customized your channel user friendly. Means ,when you start a YouTube channel, then first make it brand. Then it’s name, it’s logo, and channel art for YouTube is also very compulsory things. If you manage these things effectively, then i’ll hope you’re viewers fully trust to you and you can get more and more views and subscribers. If you have a blog or website, then make sure your channel also recognized them at any where. If you create a professional looking YouTube Channel Art then its become a brand for others. Also get the custom URL and add your bio into your channel description. Add your social links like Facebook and twitter and Google+ profiles in it. As many times , when you visit YouTube and search any thing on the YouTube, many times you see the custom thumbnails of videos. It can increase the user engagements because it become more user friendly technique. Using annotations and relevant images as custom thumbnails into your videos. It will increase your video “CTR” ( click through rate ). A awesome and good looking custom thumbnails for videos will give the viewers some awesome hint about in regard the video is what is all about. YouTube can offer the selection of custom thumbnails . So choose perfect and relevant thumbnails for your videos. Meta tags are the most useful keywords ideas that helps search engines to crawling and indexing your contents on the basis of relevant keywords. Make use of best Google Keyword Tool for getting more useful and high paying ideas on relevant keywords for your YouTube videos. Keyword research is the most important part in SEO, while you create YouTube channel or create a blog / website. You’ll always do keyword research and find most profitable keywords for your topic.You can also work on YouTube video meta tags properly to get better understanding of what and how it works and why we use them? If you use meta tags properly in your videos, then I fully confidence that you’ll get more traffic from YouTube search and Google Search and more traffic means more subscribers. By using the right and Best SEO Tool that will helps you to enhance your video optimization and get more views on your channel and videos easily. I personally used Tubebuddy tool that is specially designed for YouTube users. You can use this tool and optimize your videos easily and getting more and more subscribers. YouTube channel trailer means the first video of your channel which is pinned into your channel homepage. So when new viewer come to your channel, it will directly see this video. In channel trailer, make sure you engaged more subscribers. You can create custom trailer in which you can tell who you are and what your channel is all about. This is the awesome and great feature by YouTube which is called channel trailer, which is automatically play when user go to your channel home page. Remember that : The good looking and the perfect channel trailer is somewhere between the 40 to 60 seconds only. In this trailer, you tell your audience why they visit your channel and why they subscribe you on YouTube. If you are good in front of camera and self confident, then let the camera and record the well structured video as a custom channel trailer. I’m always says that this world become a Global Village in today age. So every one has a internet connection and also use social media sites like YouTube, Facebook, Twitter, Google+ and many others also. So always use these platforms to interact with the readers , viewers, your fans, and your loyal subscribers. This is the best way to care your audience, and they will care back to you. Always when you create a new videos , with the upload it on YouTube also share it with your friends and fans on social media sites as well. It will give you the more interactions with the users and your channel become a brand . So always interact with your loyal fans base with all ways which you can use. It is very important for you, if you want to get a long lasting earning from YouTube. Because if you create contents like news videos, or some trending videos then these are only valid just for few days. But if you create and make a evergreen videos like How to tutorials, SEO related, Blogging Tips, Health Tips, Food Tips etc then you’ll life time views on your videos and getting more subscribers with the passage of time.These all topic / niches are evergreen and never ever dead. So always work on that kind of niche which is evergreen and make your channel for the future users too. In the SEO point of view for your YouTube videos, the video description is something that is very important that offers a lot of potential to get tell your audience what is video all about and tells to search engines to consider your videos discover-able and also to your viewers of providing the some short description if what the video lies ahead inside. Basically if you add a brief description into your video description, it is not awesome, add your social links, and some thing about your videos, because when video play only first 2 to 3 lines are shown in description and remaining lines are hide in a link.Also use you keywords wisely into your video description but don’t spam it. Always add keywords naturally and authentically. Also add your blog or website link, so people’s who want more information go to your site. It is not doubt a YouTube is the world biggest and top rated video sharing platform where you can create and share you video contents short or long. Many times you can see that the short and small video can get the more views and get engaged more subscribers. Because people don’t have an enough time to see the full 20 to 60 minutes videos. So always keep in mind that when you create a video, it will no longer than 5 to 8 minutes. Always create videos under 5 minutes only. When you have a good standing and good fellowship, then experiment that the video length and limit, and then see the people views, of what they would talk about these videos. So in this way you can get the idea of your creating contents limit . The best and always top rated videos are not more than 3 to 4 minutes. So keep your video under 5 minutes but informative, descriptive and entertaining. Annotations are those pop ups links which are appears during your video . You can add these annotations into your video to get more back-links and also get more viewership. It is the great and blessing features of YouTube Creators. If you use these call to actions annotations wisely and in a proper way, you can get the more views and more subscribers. Many popular YouTube’s can tell that always use annotations into your videos to get more subscribers. Always use simply links like other video links, Subscription Links as a call to actions annotations. Also a graphical subscription button used as annotation within your videos to ask your viewers to subscribed you on your channel to get more and awesome contents. The most simplest and best way to increase your subscribers is just by asking it in your videos. In your videos, adding some call to actions links that helps you and engaged your viewers to subscribed you easily. You can adding a links with “To Stay up to date with my latest videos tutorials” subscribed me. This kind of texts forced your viewers to subscribed you if they found your videos useful and beneficial and their taste of interest. I’m always says that this is the social media age, you will being present on all so well popular social media platforms like Facebook, Twitter, Google+, Pinterest etc which is much pre-requisite. Always being a discover-able on these platforms to become a brand and what will you want to establish your online presence. You can go to these social media sites and create your account and make your professional and good looking profiles on all these social media websites.Always spent more times on these sites like on Facebook, Twitter, Google+, Pinterest, StumbleUpon etc , upload contents on these multiple platforms at the some scheduled time, using many apps available on these sites. If you want to get more engagements then use Facebook and Google Ads for further online visibility on the internet. When you upload your new videos on YouTube always share video link to your social media profiles and get more and more viewership and finally you can get the more and loyal subscribers which ar permanent to your subscribers. So when you upload any video you can get unlimited views and many new subscribers . These are some top rated YouTube’s sharing techniques and my own experimental tips to increase your subscribers on YouTube. I hope you can easily understand these tips, if you have any question into your mind, then first feel free to contact men on comment section below this video. If you like then share it with your friends.